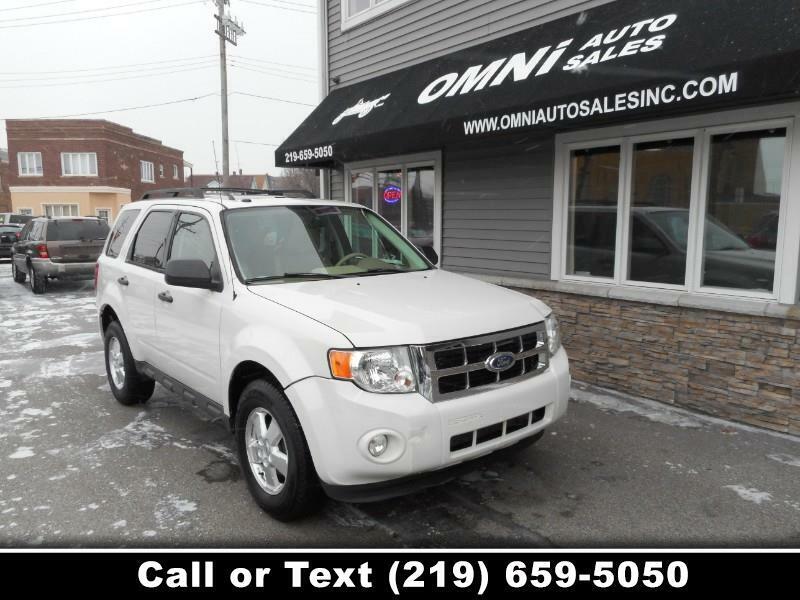 You will love our versatile 2011 Ford Escape XLT 4WD that is shown in White Suede. Powered by a 3.0 Liter 6 Cylinder offering 240hp when combined with a 6 Speed Automatic transmission. You can expect this Four Wheel Drive SUV to earn near 25mpg while never having to worry about weather conditions. You will love the comfy five-passenger seating and great cargo space to haul all the things you need for your active lifestyle. The modern, functional controls inside the cabin of our XLT illuminated by a power sunroof make every drive a little more luxurious as you settle into the supportive seats. Our awesome audio system with a CD player, available Sirius XM, and audio input jack allow you to hook up to your phone and play your latest tunes. The center console has superb storage and there are many little luxuries throughout like keypad entry and privacy glass. Ford practically ensures your safety with the abundance of equipment they include in their vehicles. Six standard airbags, tire pressure monitoring, and stability control keep you and your passengers safe. MyKey allows controls to be set for the younger drivers in the house to ensure safe driving. You have chosen well with this Ford Escape XLT! It is a fun, smart and versatile SUV for someone who is active and needs a vehicle that can keep up. Print this page and call us Now... We Know You Will Enjoy Your Test Drive Towards Ownership!